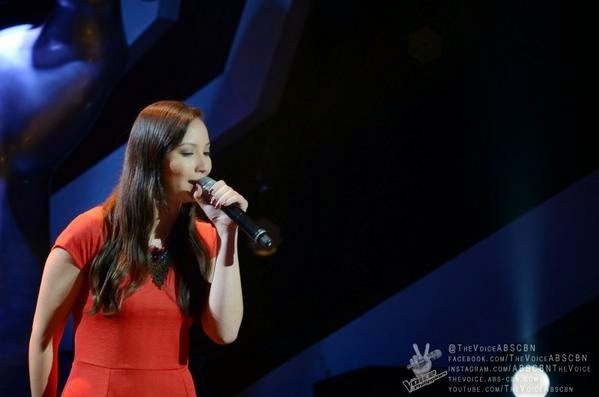 Manila, Philippines - Vanessa Monot performed Yeng Constantino's hit song "Pangarap Lang" during the Blind Auditions of ABS-CBN's popular vocal competition 'The Voice of the Philippines Season 2 aired on Saturday, November 8, 2014. The 25-year old artist from France wowed Coach Sarah Geronimo who was the lone judge to turn her red chair. As of the November 8 episode, 12 artists have already convinced with at least one coach to turn around. At the end of the Blind auditions, each team will have 14 artists. The Top 56 artists will be named which include stolen artists for each team. The Saturday's episode of 'The Voice of the Philippines' Season 2 dominates online conversations with '#VoiceWeekend' among the trending topics.